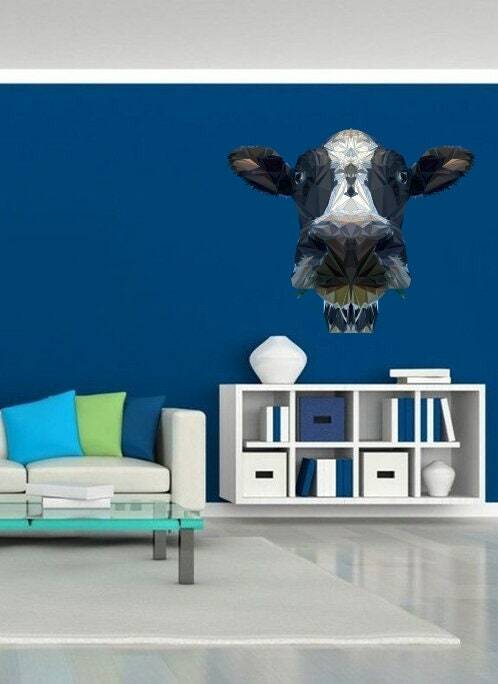 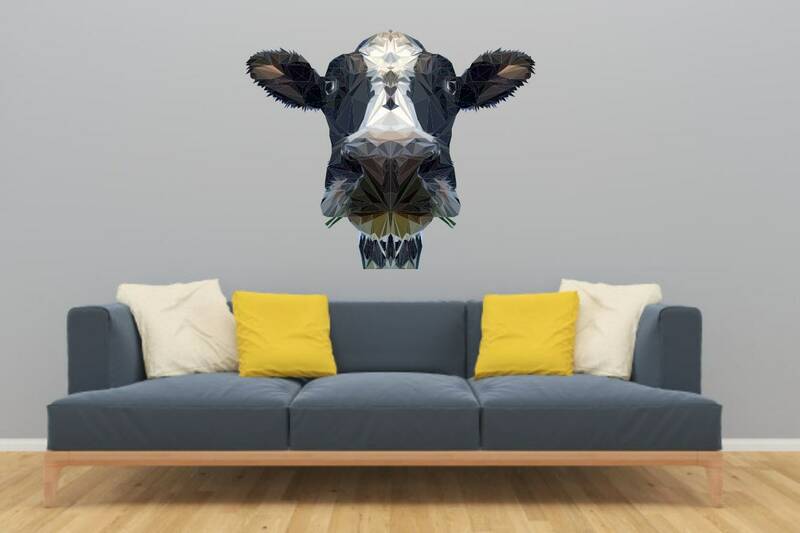 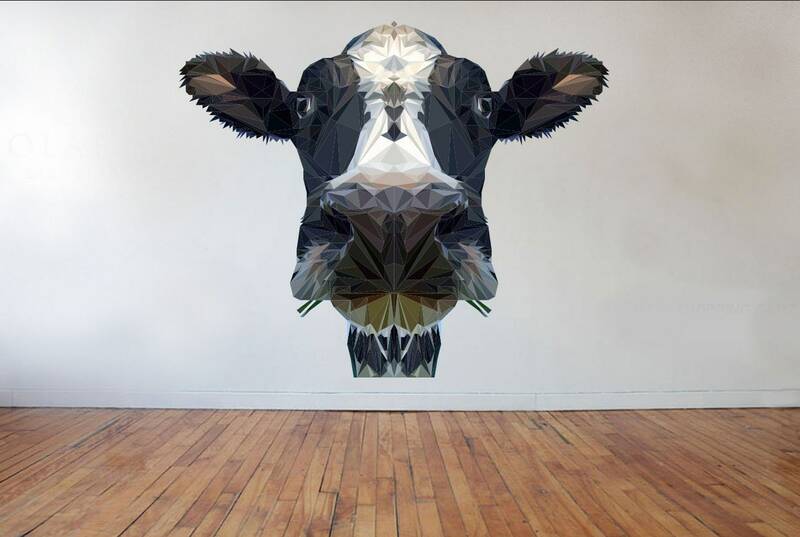 This cow is created using a modern art trend, Low Polygonal Art is really fun way to add dimension to a space. 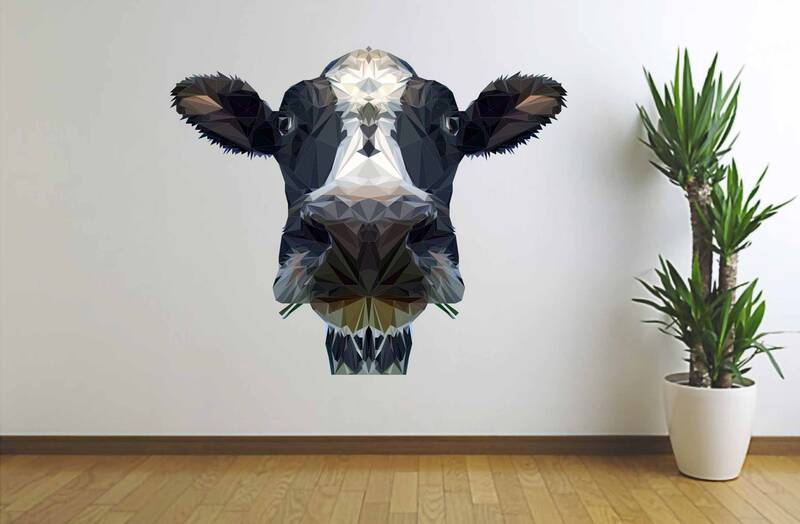 The Cow Polygonal Design is symmetrical. 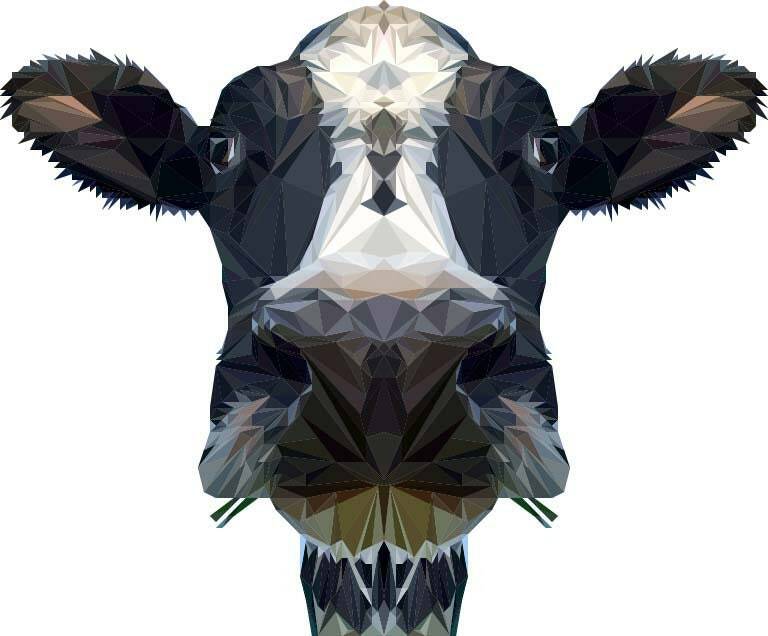 Created with hundreds of tiny 3-6 sided polygons, this was created using a photo I took of my friend's dairy feeder. 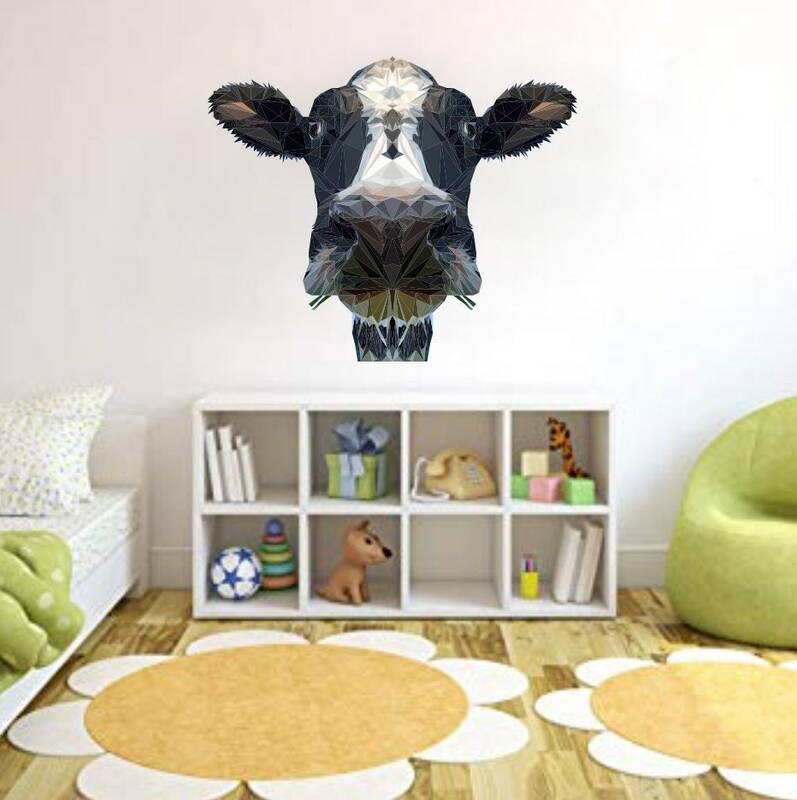 I layer the triangle over the original photograph to create the design.